On January 11, 2019, State Police from SP Kinderhook arrested Ashley L. Myer, age 30, of Kinderhook, NY, for Aggravated DWI with a child in the vehicle, a class E felony. She was traveling on Main Street in the town of Kinderhook, when she was stopped for a vehicle and traffic law violation. Investigation revealed that she was impaired by alcohol, and was subsequently arrested. On January 11, 2019, State Police from SP Livingston arrested Joseph M. Finn, age 23, of Hudson, NY, for DWAI Drugs. He was traveling on Rod and Gun Club Road in the town of Stockport, when he was stopped for a vehicle and traffic law violation. Investigation revealed that he was impaired by drugs, and was subsequently arrested. On January 11, 2019, State Police from SP Rhinebeck arrested Gerard V. Ollis, age 43, of Poughkeepsie, NY, for DWAI Drugs. He was traveling on State Route 9 in the town of Rhinebeck, when he was struck a mailbox and then left the scene. Ollis was stopped on Mills Cross Road in the town of Hyde Park, investigation revealed that he was impaired by drugs, and was subsequently arrested. On January 12, 2019, State Police from SP Somers arrested Marjorie J. Venegas, age 54, of Armonk, NY, for DWI, and Aggravated Unlicensed Operation in the 3rd degree, both misdemeanors. She was traveling on Interstate 684 in the town of Bedford, when she was stopped for a vehicle and traffic law violation. Investigation revealed that she was impaired by alcohol, and was subsequently arrested. On January 12, 2019, State Police from SP Poughkeepsie arrested Marcy L. Brodhead, age 41, of Poughkeepsie, NY, for DWI. She was traveling on State Route 44 in the town of Poughkeepsie, when she was stopped for a vehicle and traffic law violation. Investigation revealed that she was impaired by alcohol, and was subsequently arrested. 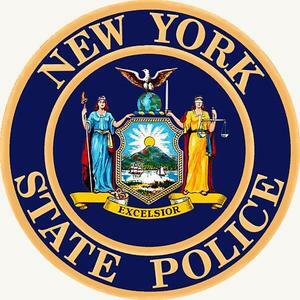 On January 12, 2019, State Police from SP Stormville arrested Djon-Paul Rudovic, age 25, of Cortlandt, NY, for DWI. He was traveling on the Taconic State Parkway in the town of Yorktown, when he was stopped for a vehicle and traffic law violation. Investigation revealed that he was impaired by alcohol, and was subsequently arrested. On January 12, 2019, State Police from SP Brewster arrested Fredy O. Ramos Carbajal, age 45, of Waterbury, CT, for DWI. He was traveling on Interstate 84 in the town of Southeast, when he was stopped for a vehicle and traffic law violation. Investigation revealed that he was impaired by alcohol, and was subsequently arrested. On January 12, 2019, State Police from SP Stormville arrested Adam B. Ornest, age 49, of Poughkeepsie, NY, for DWI. He was traveling on Vassar Road in the town of Poughkeepsie, when he was stopped for a vehicle and traffic law violation. Investigation revealed that he was impaired by alcohol, and was subsequently arrested. On January 12, 2019, State Police from SP Cortlandt arrested Diego Santiago Jr., age 38, of Croton-On-Hudson, NY, for DWI. He was traveling on State Route 9 in the village of Croton-On-Hudson, when he was stopped for a vehicle and traffic law violation. Investigation revealed that he was impaired by alcohol, and was subsequently arrested. On January 12, 2019, State Police from SP Rhinebeck arrested James A. Zolko, age 30, of Holland Patent, NY, for DWI. He was traveling on State Route 9 in the town of Red Hook, when he was stopped for a vehicle and traffic law violation. Investigation revealed that he was impaired by alcohol, and was subsequently arrested. On January 13, 2019, State Police from SP Brewster arrested Corrie L. Dorazio, age 28, of Mahopac, NY, for DWI. She was traveling on State Route 22 in the town of Southeast, when she was stopped for a vehicle and traffic law violation. Investigation revealed that she was impaired by alcohol, and was subsequently arrested. On January 13, 2019, State Police from SP Brewster arrested Matthew E. Gernert, age 24, of Brookfield, CT, for DWI. He was traveling on Interstate 84 in the town of Southeast, when he was stopped for a vehicle and traffic law violation. Investigation revealed that he was impaired by alcohol, and was subsequently arrested. On January 13, 2019, State Police from SP Somers arrested Yeltsy M. Lopez Arias, age 25, of Mount Kisco, NY, for DWI. She was traveling on State Route 118 in the town of Somers, when she was stopped for a vehicle and traffic law violation. Investigation revealed that she was impaired by alcohol, and was subsequently arrested. On January 13, 2019, State Police from SP Stormville arrested Jennifer M. Walsh, age 32, of Pleasant Valley, NY, for DWI and Agravated Unlicensed Operation in the 1st degree, a class E felony. She was traveling on State Route 376 in the town of Poughkeepsie, when she was stopped for a vehicle and traffic law violation. Investigation revealed that she was impaired by alcohol, and was subsequently arrested. On January 13, 2019, State Police from SP Somers arrested Tano Perez, age 20, of Yorktown, NY, for DWI. He was traveling on Lee Boulevard in the town of Yorktown, when he was stopped for a vehicle and traffic law violation. Investigation revealed that he was impaired by alcohol, and was subsequently arrested. On January 13, 2019, State Police from SP East Fishkill arrested Gregory P. Werner, age 31, of Brewster, NY, for DWI. He was traveling on State Route 213 in the town of Southeast, when he was stopped for a vehicle and traffic law violation. Investigation revealed that he was impaired by alcohol, and was subsequently arrested. On January 13, 2019, State Police from SP Stormville arrested Adrian A. Richburg, age 24, of Somers, NY, for DWI. He was traveling on the Taconic State Parkway in the town of Yorktown, when he was stopped for a vehicle and traffic law violation. Investigation revealed that he was impaired by alcohol, and was subsequently arrested. On January 13, 2019, State Police from SP Cortlandt arrested Adrian E. Munoz, age 26, of Queens, NY, for DWI. He was traveling on State Route 9 in the town of Cortlandt, when he was stopped for a vehicle and traffic law violation. Investigation revealed that he was impaired by alcohol, and was subsequently arrested. On January 13, 2019, State Police from SP Poughkeepsie arrested Jose G. Garcia Reyes, age 22, of Poughkeepsie, NY, for DWI. He was traveling on State Route 55 in the town of Poughkeepsie, when he was stopped for a vehicle and traffic law violation. Investigation revealed that he was impaired by alcohol, and was subsequently arrested. On January 13, 2019, State Police from SP Cortlandt arrested Bernard M. Clarke, age 32, of Elmsford, NY, for DWI. He was traveling on the Taconic State Parkway in the town of Yorktown, when he was found asleep on the shoulder of the Parkway. Investigation revealed that he was impaired by alcohol, and was subsequently arrested. On January 13, 2019, State Police from SP East Fishkill arrested Diana M. Semczysyn, age 36, of Hartford, CT, for DWI. She was traveling on Interstate 84 in the town of Southeast, when she was stopped for a vehicle and traffic law violation. Investigation revealed that he was impaired by alcohol, and was subsequently arrested. On January 14, 2019, State Police from SP Brewster arrested Rossy A. Recinos Interiano, age 31, of Danbury, CT, for DWI. She was traveling on State Route 312 in the town of Southeast, when she was stopped for a vehicle and traffic law violation. Investigation revealed that she was impaired by alcohol, and was subsequently arrested.